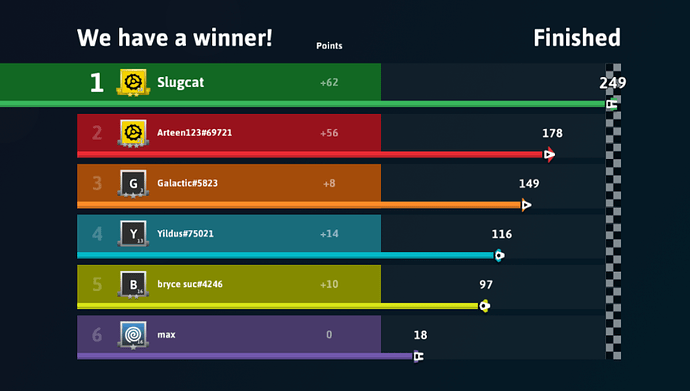 For some reason I did get 250 points while playing, but on the results screen it says 249! It was 250, for a split-second, but went to 249. This is kinda weird as well. Maybe either @Rojoss or @Geert can explain. Basically the scoreboard is client predicted so in this case the game probably already ended and then something still happened on your client or it could be a floating precession error maybe because stealing is percentage based so the outcome might be slightly different on 32 and 64 bit pc’s. We might look into it later to make sure the prediction is correct but it’s not a priority right now. The server is always correct, so if you get a gold crate it means the server thought you won. And you can always look back at the match history to see what the server thought about the outcome. This is also why you some times get the waiting for results screen. Your client then predicted the game ended but on the server the game didn’t end yet so then you don’t get your rewards yet. Will move it to Known issues and it will probably be fixed eventually but don’t expect a fix any time soon. Alright, thank you for the explanation! 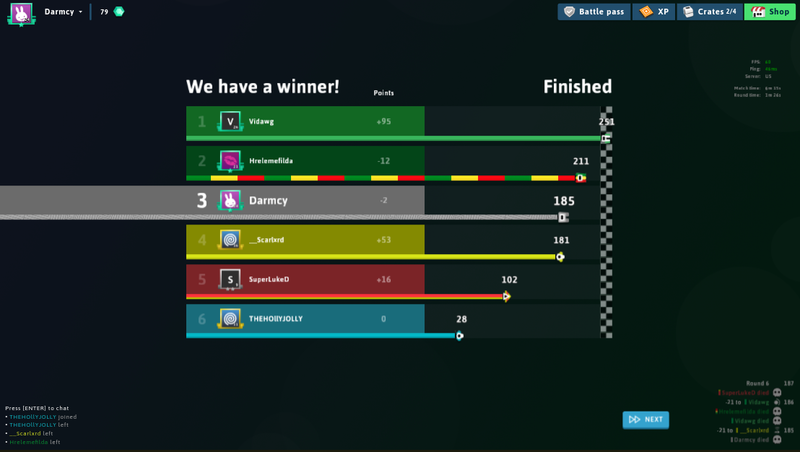 I’m not sure if this is related but a player just won with 249 points instead of 250. I forgot to mention when I went back the score board said he had 251.